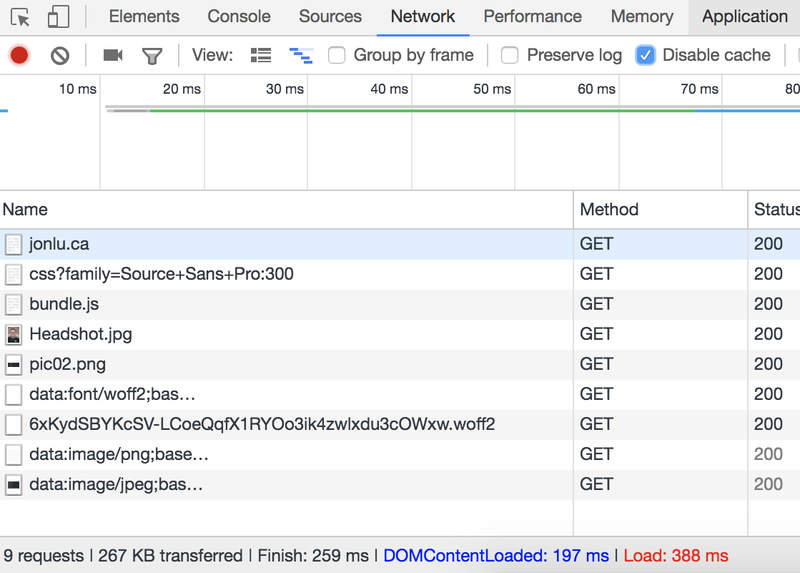 Use case by JonLuca De Caro in which he optimised the page load speed of a static site. Before optimisation the site weighed 1MB (at 20 requests) with DOMContentLoaded at 3.74s. After optimisation the site weighed only 267kB (at 9 requests) with DOMContentLoaded at 197ms.